The Library Hotel, a quaint boutique nestled in the heart of east midtown Manhattan, is surely one for the books. This charming hotel concept was inspired by the Dewey Decimal System, with each of the guest rooms adorned with collections of classic literature. 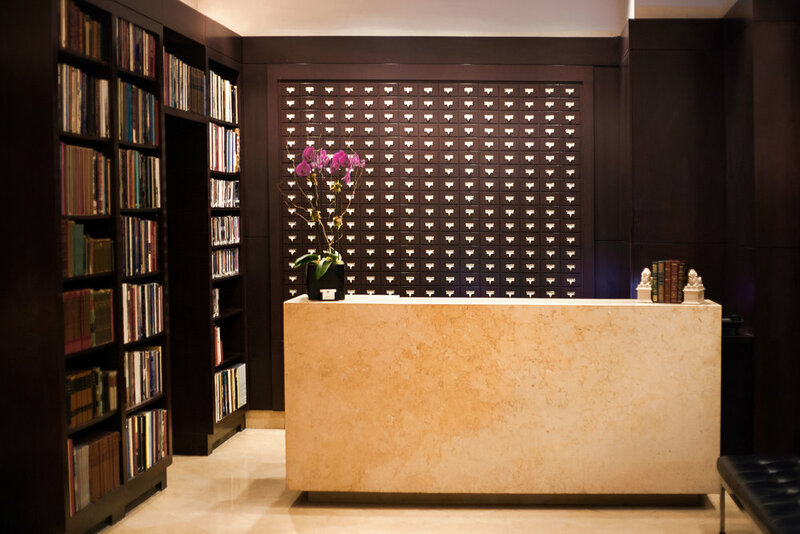 With over 6,000 books on property to choose from, Library Hotel is the perfect destination for the book-lover searching for a quaint hideaway in the Big Apple. Daily wine and cheese reception everyday in the Reading Room from 5-8pm with a fabulous selection of wine, imported and domestic cheeses, fresh bread, pastries, and crudité. The collection of books from all depths of the Library to suit the interests of every traveler! The Love Room Suite is the most unique room category with the Hotel's only private terrace along Madison Avenue. This room boasts views of the iconic New York Public Library and the City skyline.